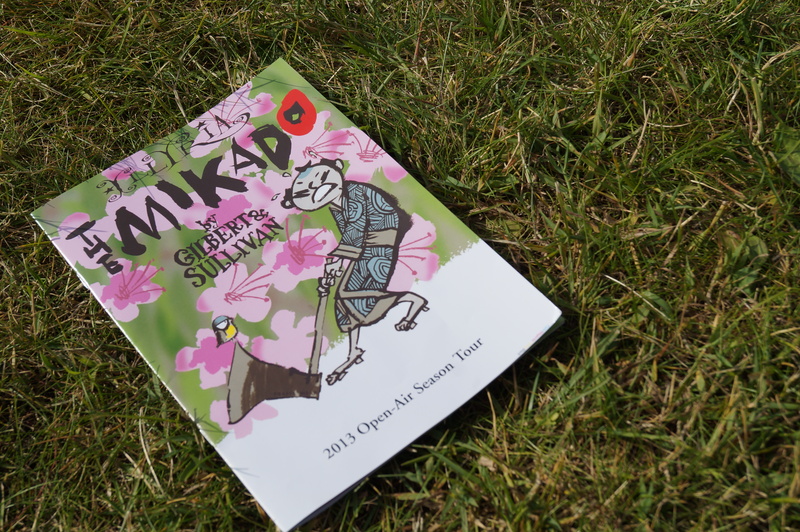 A few weeks ago C, my Mum, my Dad and me went to see an outdoor performance of Gilbert and Sullivan’s the Mikado by Illyria at DeMontfort Hall in Leicester. 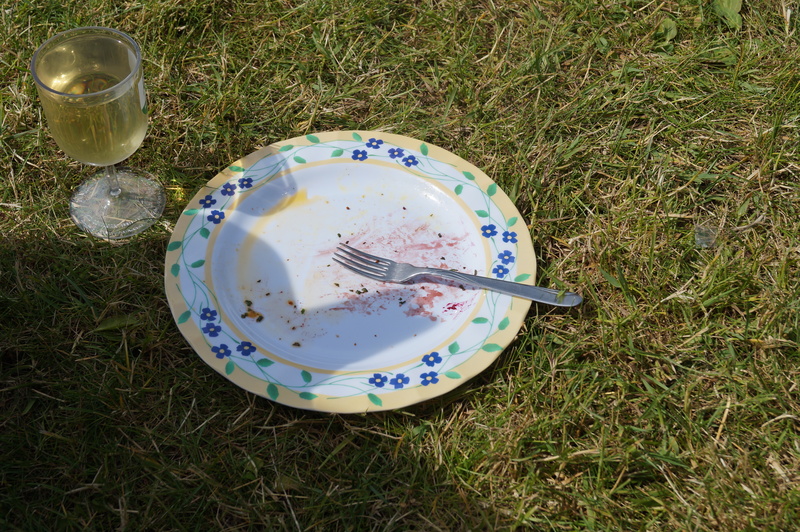 We sat in the grounds with a picnic and wine whilst enjoying the performance, a beautiful day. 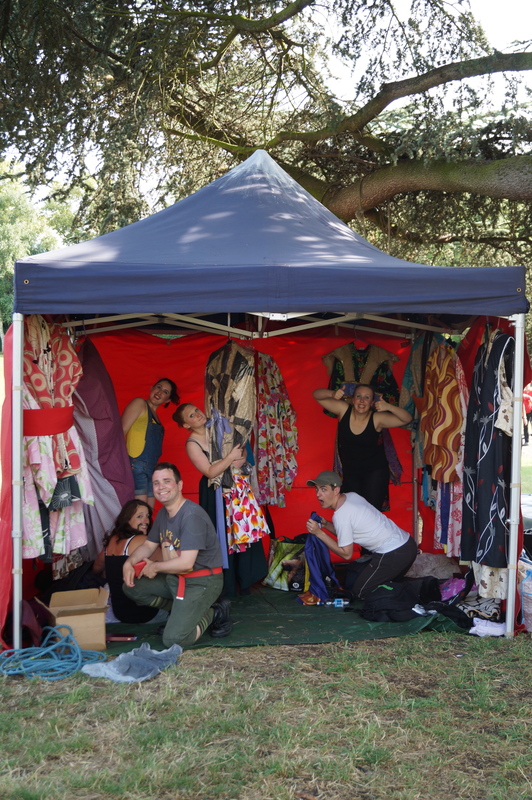 Illyria are a lively outdoor touring theatre company and the Mikado a family favourite of ours. This was my mother birthday present, my Dad new the words to most of the songs (ish!) so it was just brilliant to enjoy the performance as a family. Although set in Japan this is a very British comedy, and a parody of british politics and values. The play is set in the town of Titipu where flirting has been banned, as ruled by the Mikado, king of Japan. The penalty for breaking this law is death by beheading. Needless to say general chaos ensues, largely created by those in charge of the town terrified of upsetting the Mikado and loosing their own lives. It’s a clever if slightly ridiculous plot and well worth tacking down a performance near you to learn more. 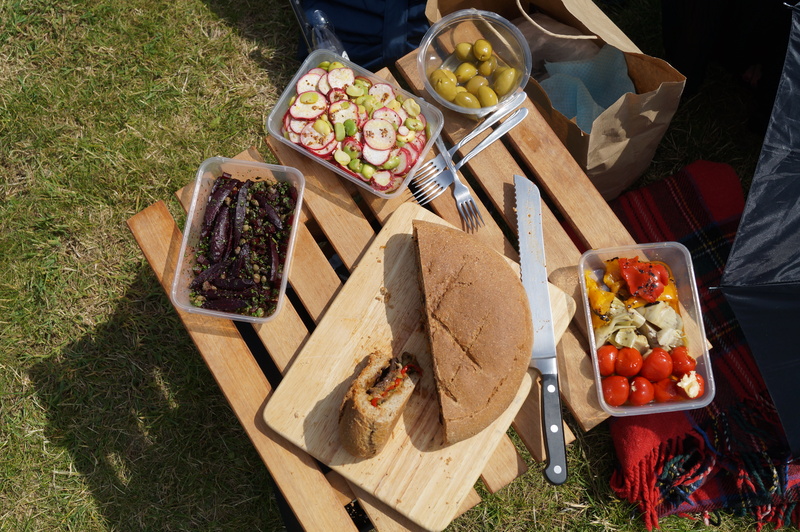 Of course we took a picnic that involved a little bit of baking…. 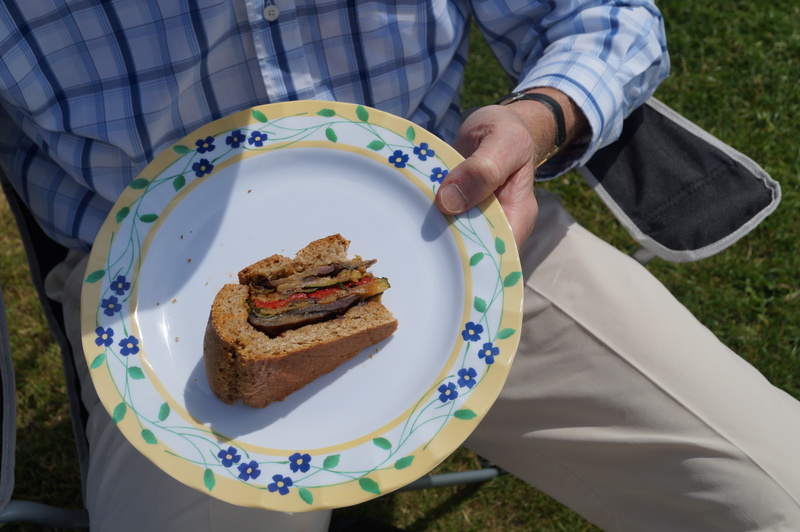 We decided to make a picnic sandwich loaf, a simple but rewarding recipe. It looks underwhelming at first glance but once cut it’s a pretty impressive sandwich. 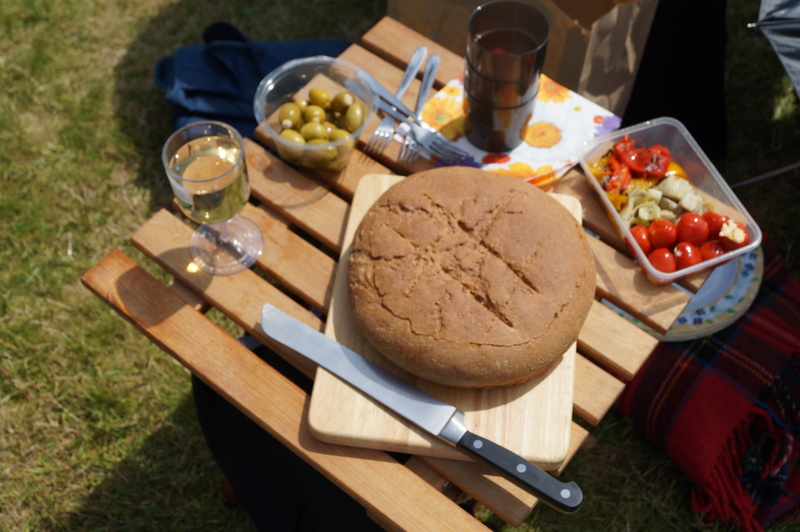 All it needs to accompany it on a picnic is a bread board and knife. We baked our own loaf (Plans had been made for a sourdough loaf but due to an unfortunate accident with our sourdough culture, a rye flour loaf had to suffice) A shop bought sourdough loaf or a rustic seeded loaf would work just as well and would make this recipe all the easier to prepare. Filling wise, anything goes really, as long as the ingredients are layered so they are visible once cut. Here’s how we made ours….. The day before the picnic prepare the vegetables. 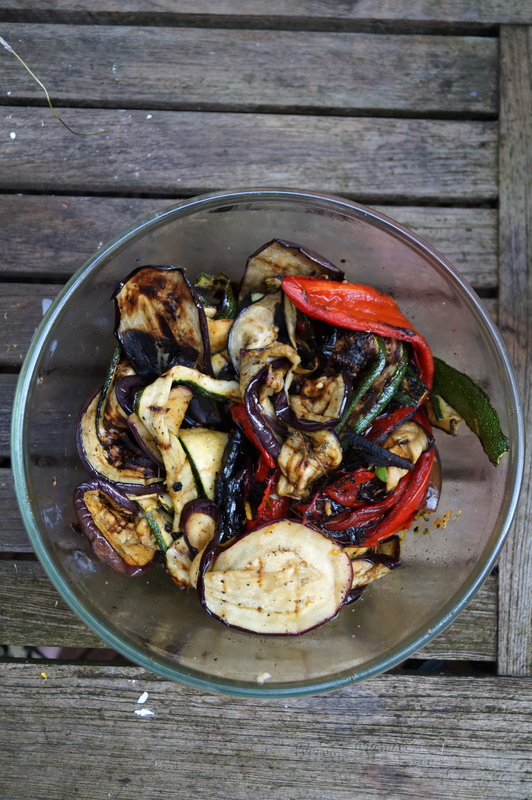 Quarter the peppers, slice the aubergines and courgettes lengthways into thin strips. Make a dressing by placing the crushed garlic, lemon zest, lemon juice, oil and thyme into a large mixing bowl, whisk well to combine and set aside. Grill the vegetables either on the barbecue, in the oven or on a griddle pan until charred and cooked through. Place the cooked vegetables into the mixing bowl with the dressing. Season to taste and mix all together so the vegetables are well coated in the dressing, then set aside to cool. Slice the top off the loaf of bread and hollow out the centre. 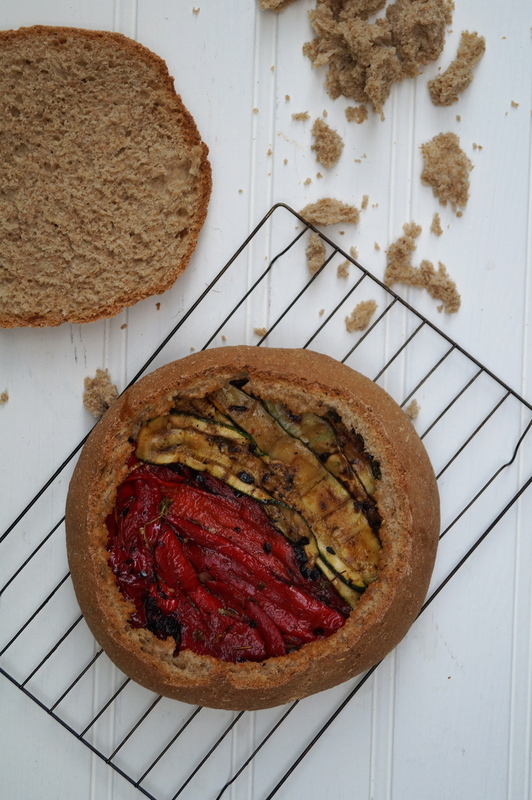 Place the cooled grilled vegetables into the loaf neatly in layers starting with pepper, then courgette, aubergine and parma ham. Once well filled place the lid back onto the loaf and wrap tightly in cling film. Place the loaf into the fridge, with a weight on top to pack the layers down, into the loaf. Leave the loaf in the fridge for minimum 12 hours. And it’s that simple, made a day in advance the loaf is packed and ready for a picnic the next day. If we had been really clever we would have made a sushi picnic! Sadly we only thought of this as we turned to go home, but Sushi at our favourite restaurant little Tokyo was a fitting end to the day. 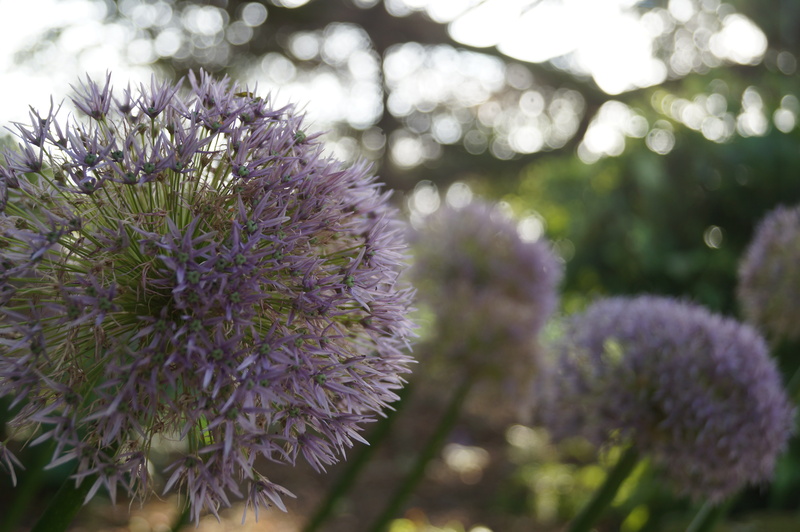 Looks like a lovely day – great way to take advantage of the good weather! Love the loaf too, looks delicious and the close up of the purple flowers is beautiful :) Happy birthday to mum! Thank you, yes the weather was amazing, luckily. It would have been quite a different story if we had got caught in one of these thunder storms! I love Little Tokyo! A trip there for sushi is much overdue, I think. Isn’t it brilliant?! 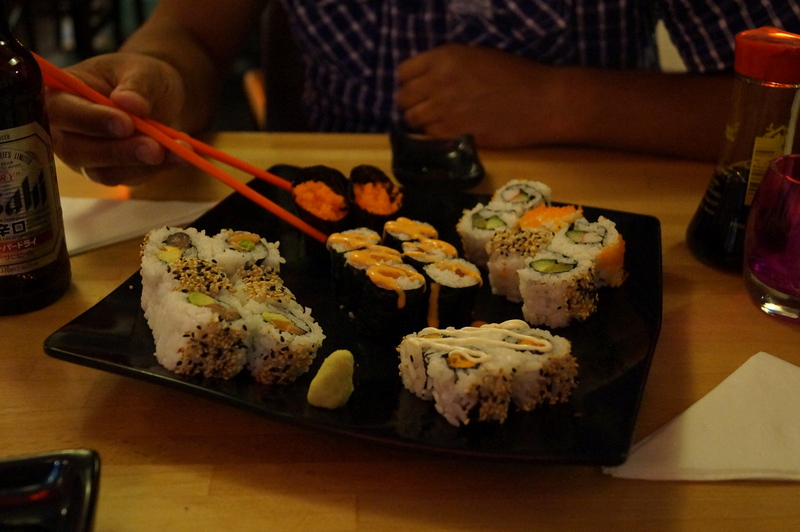 We go there alot, always on a Sunday when the sushi is half price! This looks incredible! So making this for my next picnic. Is the bread not stale or tough from being in the fridge?